Product prices and availability are accurate as of 2019-04-15 14:58:55 UTC and are subject to change. Any price and availability information displayed on http://www.amazon.com/ at the time of purchase will apply to the purchase of this product. The ONLY KidSafe essential oil line specifically formulated (by Robert Tisserand) for children ages 2-10. Contains the pure, KidSafe essential oils of: Lemon, Cypress, Marjoram and Tea Tree. For your convenience, all Plant Therapy Essential Oils have an oil identification sticker on the cap. This is especially beneficial if you use a top load carrying case. Have Questions? Message one of our Certified Aromatherapist through Amazon messages. 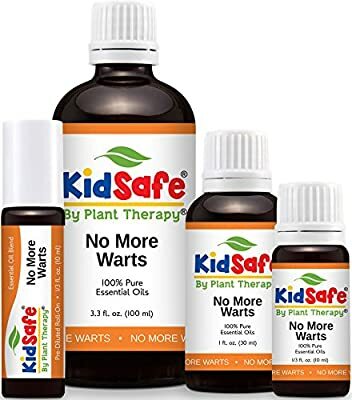 ?At Plant Therapy, we have a full line of KidSafe synergies you might also be interested in, including - A+ Attention, Ban The Bugs, Better Than Kisses, Eczema Helper, Germ Destroyer, Go Go Go, Growing Pains, Headache Away, Immune Boom, Lice Away, Nighty Night, No More Warts, Odor Zapper, Silky Soft, Sneezy Stop, Sniffle Stopper, Sweet Dreams, Tame The Pain, Tummy All Better and Calming the Child. Natural Herbal Remedies Bestsellers Shop is a participant in the Amazon Services LLC Associates Program, an affiliate advertising program designed to provide a means for sites to earn advertising fees by advertising and linking to Amazon.com, Endless.com, MYHABIT.com, SmallParts.com, or AmazonWireless.com. Amazon, the Amazon logo, AmazonSupply, and the AmazonSupply logo are trademarks of Amazon.com, Inc. or its affiliates.